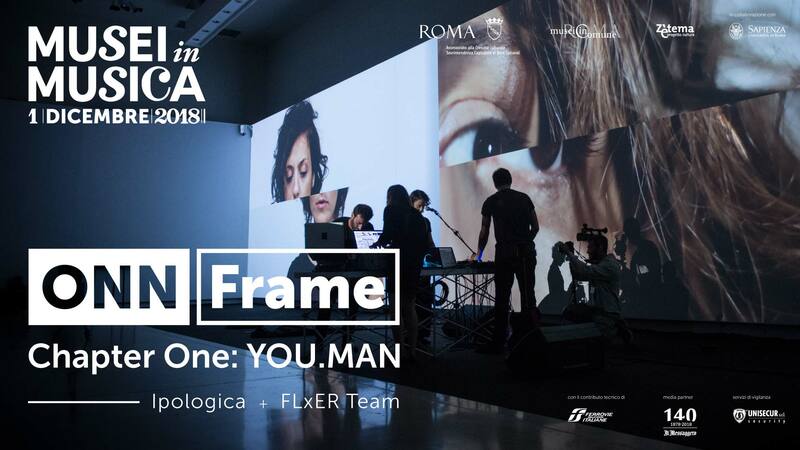 ONNFrame by Ipologica + FLxER Team: is an audio video performance in which shapes, geometries, video narrations, sounds and colors merge thanks to a band of 4 elements, three musicians of the collective Ipologica and the Vj Liz from FLxER Team, included in the framework of the Museums in Music. ONN Frame is an experiential performance resulting from the synergy of different professionals. It thus becomes a history of chapters made of sound environments, narrative videos and live visual effects. Screenings, ABOUT LIVE CINEMA: Interviews, previews and backstage of some of the best artists who will interpret the live cinema performances, to better understand the creative process and the contents of this new audio video discipline.